I spent the 2000s completing a PhD in computer science at UNSW in Sydney, developing new approaches to dynamic extension and hot swapping features for the Haskell programming language. I also worked on compiler optimizations for GHC, leading to “stream fusion” (parodied in this comic strip). 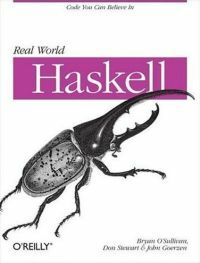 At the same time I squeezed in a lot of open source hacking, and co-wrote “Real World Haskell”, a book on Haskell programming. I then worked at Galois, Inc. in Portland, Oregon, for four years, as a researcher doing Haskell programming for high assurance systems — particularly using DSLs and compiler technology. I moved to New York in 2011 to build trading systems in Haskell for Standard Chartered Bank, eventually landing in London. Over 6 years I built a team of 40 Haskell devs writing code for all parts of the financial markets business at SCB. In 2017 I joined Facebook as engineering manager for the Infer static analysis team. I co-authored a book about Haskell, and a popular window manager for unix. 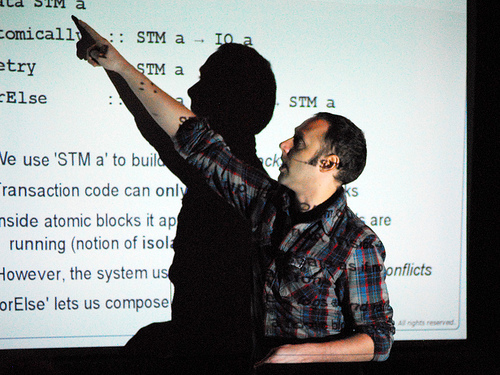 I’ve written some papers and regularly give talks on programming language topics. Finally, I work on a lot of open source projects.